The goal? 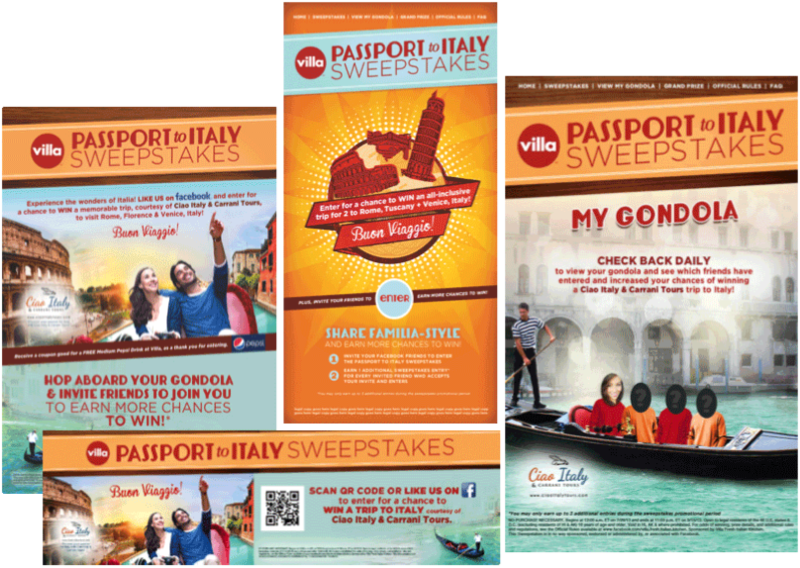 Create a social sharing strategy to drive followers and Facebook buzz for restaurant chain Villa Fresh Italian Kitchens. It was hosted via a Facebook tab, and supported with in-store POS, weekly eCRM mailings, Facebook posts and more. Users could check their “gondolas” regularly to see which friends had opted-in. The most successful promotion ever to that date for Villa, it saw 9,150 total entries, 9,057 new Facebook LIKEs and 435,005 total impressions!